Come and Join us to Celebrate our 9th year of Business! 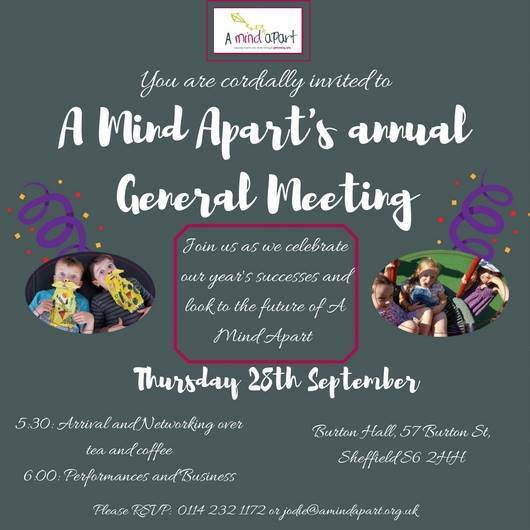 We will be holding our Annual General Meeting on 28th September. The meeting is open to the public and we would love you to come and meet our team and students whilst finding out about our successes in 2016 – 2017. We will be sharing our work with you and give you the opportunity to ask us anything you would like to know. Entertainment will be provided by our students. There will also be some special entertainment that will give you a taste of what is to come in the next six months. Place: The Burton Street Foundation, Burton Hall, 57 Burton Street, Hillsborough, Sheffield, S6 2HH.